This internal parts list is meant to help you during your tear-down, rebuild and reassembly process. We know it is really hard sometimes to find this type of detailed parts information. Please remember that Racecar Engineering™ stocks most all of the replacement service parts shown below, as we are a full-line distributor for the Frankland™ Quick-Change brand. Use the diagram below to help identify the parts you need to complete your rebuild and then click the &apos;Red-Shop-Dot&apos; to open a shopping window which will display most all of the parts shown on the schematic. You can then add each item and desired quantities to your cart and then close the shopping window to continue browsing our website. If you need a Frankland™ Quick-Change part number that is not listed on our site, please contact our Technical Sales Department at 800-882-7231 so we can special order the exact part you need directly from the factory. Please remember that Racecar Engineering™ is a full line distributor for Frankland Racing products. We carry the complete line of Frankland Racing™ drivetrain components including ring & pinions, brakes and much more. Browse our wide selection of Frankland Racing™ products and buy online today. If you have questions about choosing the right components or equipment for your motorsports segment, please contact one of our Technical Sales Associates for assistance. 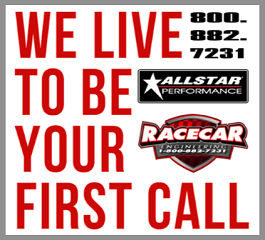 At Racecar Engineering™ we make every attempt to be every racer&apos;s &apos;One-Stop Race Component Shop&apos;. *** QUICK-CHANGE REAR END INTERNAL PARTS &apos;EXPLODED-VIEW&apos; DISCLAIMER: This quick-change rear end &apos;exploded-view&apos; internal parts reference chart has been created by Racecar Engineering™ for our customer&apos;s reference and ease-of-use using the latest information available from the factory. Please always refer to the factory website, factory printed materials and factory personnel advice for the latest information about their quick-change products and replacement service parts, as replacement parts and parts specification changes can happen at the factory&apos;s end at any time. The Frankland™ Racing Supply factory website can be accessed directly at www.franklandracing.com. (link opens new page) - Racecar Engineering™ is not responsible for any typographical errors contained in this quick-change rear end &apos;exploded-view&apos; internal parts chart material or the end-user&apos;s failure to verify & follow all factory replacement parts specifications.